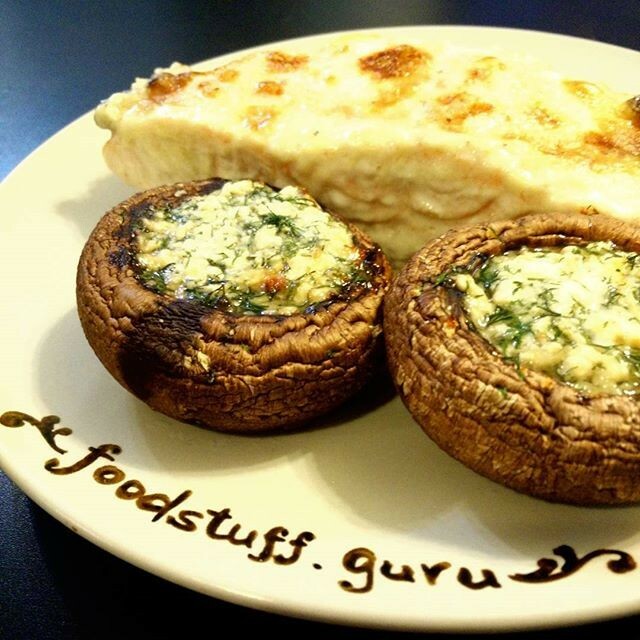 FoodStuff Guru > Eating In > #Cream baked #salmon with #cheese filed #mushrooms. It's only takes 20 minutes of baking to make this dish. What do you thing is missing in this picture? Comment below.